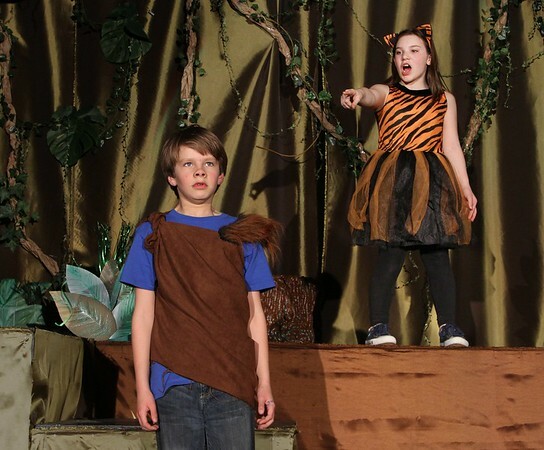 Jeremiah Bushfield, left, plays "Mowgli" and Isabella McLaughlin plays "Shere Khan" in a scene from the fifth-grade musical "Jungle Book Kids" at East Gloucester Elementary School. The play, which involves every student in the fifth grade in either cast or crew roles, will be presented to the public on Friday at 6:30 p.m., Saturday at 2 p.m. and Monday at 6:30 p.m. Admission is $8.